At the ongoing Computex 2018 event in Taipei, chipmaker Qualcomm announced the Qualcomm Snapdragon 850 Mobile Compute Platform, which is developed in a joint effort with Samsung. This new Compute platform is for Always Connected PCs and Qualcomm believes that it will offer true mobility combined with the productivity and entertainment features of Windows 10. Also, it comes with the Snapdragon X20 LTE model and Qualcomm AI Engine to get the AI side of things running. The Snapdragon 850 Mobile Compute Platform is designed to support many sought-after smartphone features in the PC and to stay connected to LTE or Wi-Fi so users can receive notifications and have their data virtually always synced on the go, says Qualcomm. The power-efficient architecture is engineered to support up to 30% system-wide increase in performance and up to 3X AI performance over the previous generation. Also, the Snapdragon X20 LTE modem is capable of delivering 1.2 Gbps per second LTE speeds. The new chip is also capable of providing 25 hours of continuous usage or multi-day battery life under normal usage condition. This new platform is built on 10nm process, which allows for sleeker and more portable, fanless designs for mobile customers, compared to current 14nm solutions. 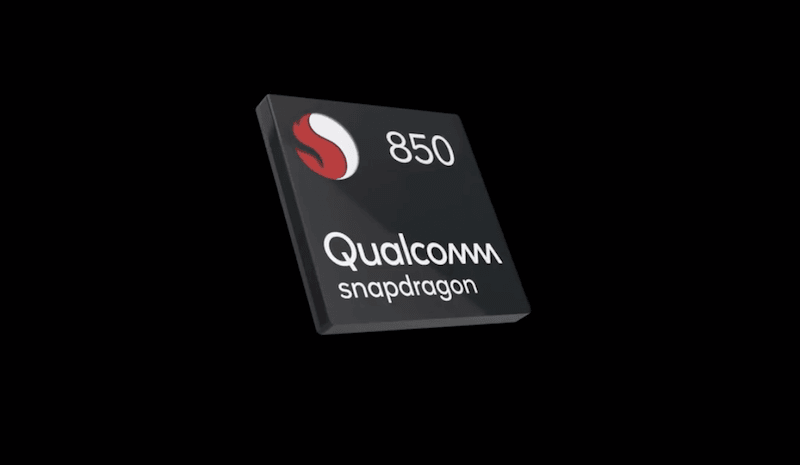 In addition, the new and improved features on the Snapdragon 850 Mobile Compute Platform can support on-device experiences for AI, and users can expect camera, voice and battery life enhancements. Also, advanced graphics and high-quality audio are designed to allow users to maximise their entertainment while viewing or capturing, all while bringing a Windows 10 experience, complete with productivity utilising Cortana, entertainment and security. Users can now create, collaborate, connect and share effortlessly on their Always On, Always Connected PC. Qualcomm stated that Windows 10 devices powered by the Snapdragon 850 Mobile Compute Platform are expected to be available in retail later this year. Why is there no information on cores used? ?